When you transfer money to friends and loved ones abroad, cost is a big factor to consider. But so too are the speed of the money transfer, the delivery options, and transfer methods. Sometimes a bank transfer just doesn’t cut it and cash pickup is needed. At other times, you may want the flexibility of transferring money by credit card or debit card. When you want flexibility in how you send money and how it is received, Xoom is a solid payment option for international transfers. While Xoom may not always be the cheapest way to send money, it does have a lot of other things going for it, including over a large network of 70 supported countries where you can send money online. Plus, Xoom is owned by Paypal, so you have the confidence that a renowned financial company using industry-grade security stands behind your online money transfers. How Much Does Xoom Cost? Which Countries Can You Send Money To Via Xoom? How Fast Can Xoom Send Money? 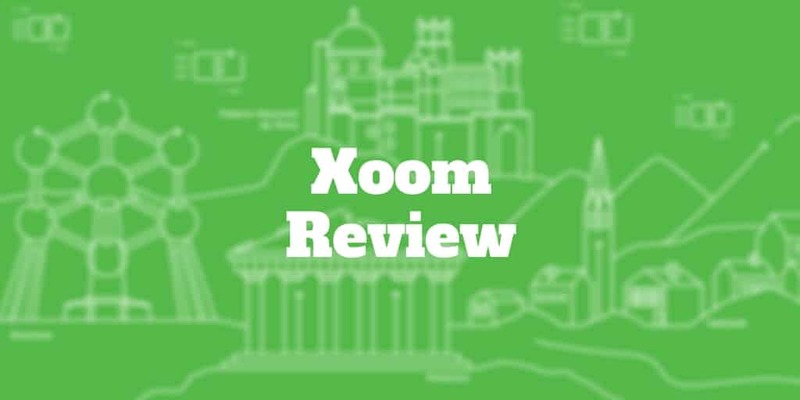 Like most money transfer companies, Xoom charges a markup above the mid-market exchange rate plus a fee that varies depending on which payment method you choose. Usually, bank transfers are the cheapest way to send money. And Xoom is no different. Bank transfer fees are typically $4.99. However, when you send money online by credit card or debit card, fees can stack up quickly. During our research, the cost of sending up to $200 to Mexico was $4.99 whether we sent money by bank transfer, credit card or debit card. However, the cost quickly ratchets higher when choosing to send higher amounts via credit card or debit card. For example, sending $1,000 to Mexico costs $4.99 by bank transfer but costs $24.99 when using a credit card or debit card. Plus, your credit card company may tack on more costs, such as interest charges. If you choose to send the maximum daily amount of $2,999, the bank transfer fee still remains at $4.99 but you will be hit with a $75.99 fee when using your credit card or debit card. Keep in mind the maximum daily amount of $2,999 can be increased when you provide more information to Xoom, such as what you do for work. Markups are used by most remittance companies to make money in addition to the standard fees charged. When you see an exchange rate quoted online, you usually can’t actually exchange money at the rate quoted because a markup will be added when buying or selling. The reason markups are added is because Xoom takes on currency exchange rate risk each time it transfers money. To lower the risk of losing money from currency exchange rates swings, Xoom charges a markup of as much as 3%. It is common for most money transfer companies to tack on this markup – Xoom is not unusual in adding this cost. However, if you send money regularly the costs can quickly add up so it is worth double checking with Xoom precisely how much the markup cost will be before sending money. You can send money online to almost anywhere in the world via Xoom, which supports over 70 countries. Just about every major region is supported, including Africa, Asia, Europe, Central America, and South America. Xoom saves you the hassle of standing in line at an old school remittance store when you want to send money abroad. Instead, you can send money online via your mobile phone or the web. If your loved ones on the other end prefer to pick up cash, Xoom makes that possible in many countries. Or you can deposit money directly into a bank account if you prefer. To send money by mobile phone, download the Xoom app in the App Store if you have an iPhone or Google Play store if you have an Android device. Next, select the country where you are sending money. Enter the amount you wish to send and you will see how much money will be received on the other end. Then you can select the delivery method, whether cash pickup or bank deposit. You will then be asked how you want to pay, whether bank transfer, credit card or debit card. Keep in mind that bank transfers are usually the cheapest way to send money abroad. Before you complete the transfer, you will be asked to select the payment location along with your loved ones’ personal information, including full name, phone number, email and street address. Once you submit the money transfer, Xoom will keep you informed about where your money is every step of the way. Like other money transfer companies, Xoom guarantees your money will be received or refunded to you. Where Xoom really shines is the speed of delivery. Certain things will slow down delivery including incorrect recipient details, bank account verification, additional information required by Xoom or your financial institution, pay network processing hours, and branch location hours / delivery hours / holidays. When you select bank transfers, which are the cheapest way to send money, Xoom claims that it may take as many as 4 days to receive funds from your bank. If you need to cancel a transfer, you can do so without penalty. ✅ Same-day Delivery: Money transfers can take from as little as a few minutes to as many as 4 business days depending on destination country, delivery method, and method of payment. ❌ Minimum Send: Xoom imposes a minimum threshold of $10 before you can send money abroad. ✅ Multiple Payment Methods: You can send money via bank transfer (cheapest method), debit card, or credit card ❌ Credit/Debit Card Fees: The minimum credit card fee is $4.99. When you send higher amounts, card fees usually work out to be about 2.5% of the overall amount. ✅ Mobile & Website Compatible: Whether you have an iPhone, Android device, or prefer to use the web, Xoom supports all channels. ❌ Exchange Markup: In addition to bank transfer or credit card fees, a markup of as much as 3% may be applied to online money transfers. ✅ Bank & Cash Delivery Options: Both bank deposits and cash pick-ups are made possible, even at retail stores, through Xoom. ✅ High Transfer Limits: The daily limit starts out at $2,999 but can be increased to $9,999 when you provide additional information, such as your income. ✅ 70 Countries: Xoom has one of the largest global networks, featuring over 70 countries. ✅ Customer Support: Xoom guarantees to refund your money if it is not delivered. If you need to send money abroad in a hurry, Xoom is a great choice. Depending on the country, payment method, and delivery option, it can take as little as a few minutes for money to reach your family or loved ones on the other end. Xoom is intuitive and can be used to send as much as $2,999 with Android and iOS devices, as well as via the web. You can even increase the daily limit to $9,999 if you provide more information about your income and job. But the speed of delivery, polished user interface, and high daily limits come at premium prices. The bank transfer fees are reasonably priced but the spread markups can be hefty at times, so it’s worth double checking what your overall costs will be prior to sending money overseas. Nevertheless, you do get peace of mind that Xoom, a Paypal service, is a trusted name in the financial world with a globally respected reputation for providing top notch security and guaranteeing your funds are delivered or refunded. The bottom line is Xoom may not be the cheapest way to send money online but it does have enough going for it that when you need to rush funds to recipients you can be confident that you are sending money with a trusted online remittance company. 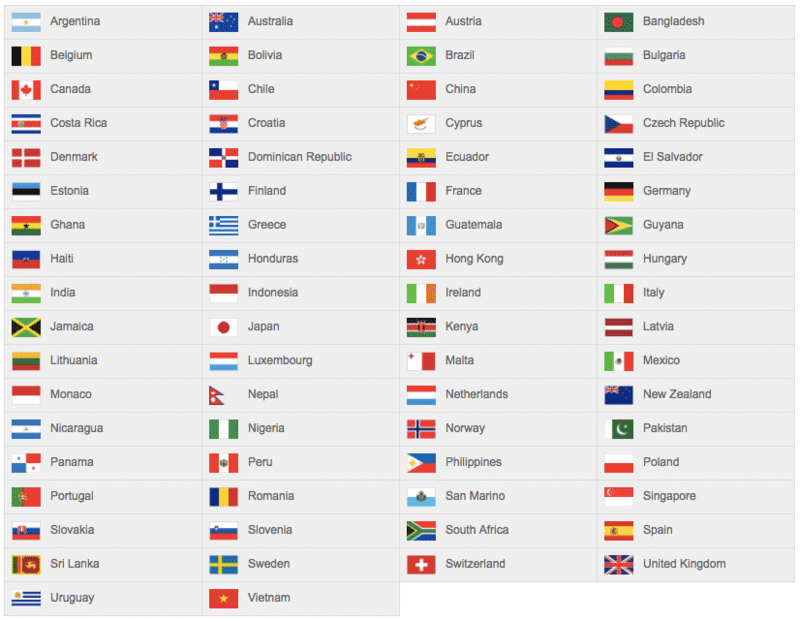 You can send money online to any of the following countries with Xoom.